2. 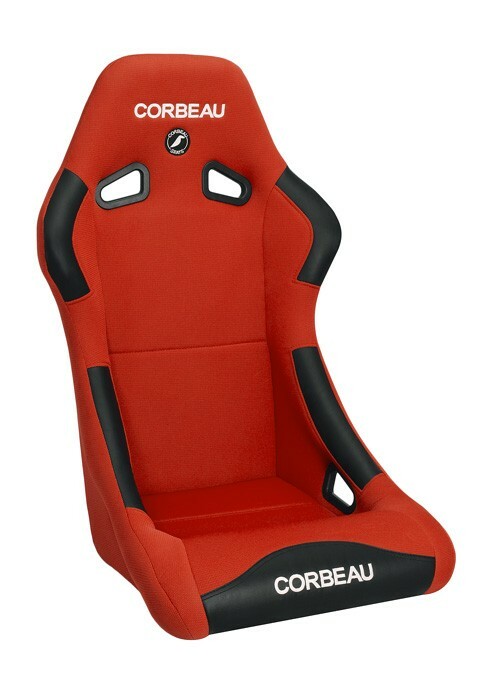 Corbeau A4 Seats - FREE SHIPPING! 3. Corbeau GTSII Seats - FREE SHIPPING! The Forza is the perfect entry level racing seat. The Forza racing seat combines comfort, performance, and safety at an absolutely unbeatable price. If you enjoy racing and want a practical seat, the Forza is a hard one to pass on. The Forza is also ideal for tight space and minimal headroom applications. As a rule of thumb, the Forza racing seat will fit up to a 36 inch waist , while the Forza Wide will fit up to a 42 inch waist. High wear patches are strategically placed to protect your seat from abuse in the high wear areas. The Forza racing seat is available in cloth, with leatherette high wear patches, microsuede, with leather high wear patches, and 100% black vinyl. Fabric: Anti-slip cloth and micro-suede materials, coupled with anti-wear patches. Contains UV inhibitors. 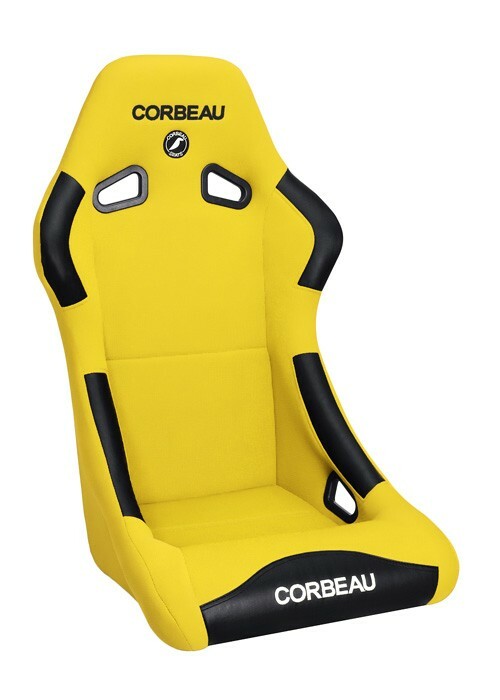 This seat has been extensively tested under extreme conditions and found to be colorfast. Steel Frame: Extra strong, lightweight, powder coated tubular steel frame. This seat is equipped with a bottom mount system only. Seats do not come with mounting adapters/brackets, use THIS page to lookup the part number you need. Please enter the part number in the 'Customer notes' section when checking out.